Traditionally, cyclotrons capable for producing PET isotopes had very high operating energies to allow the production of PET tracers on a large scale, as well as to allow a wide range of isotopes to be produced. 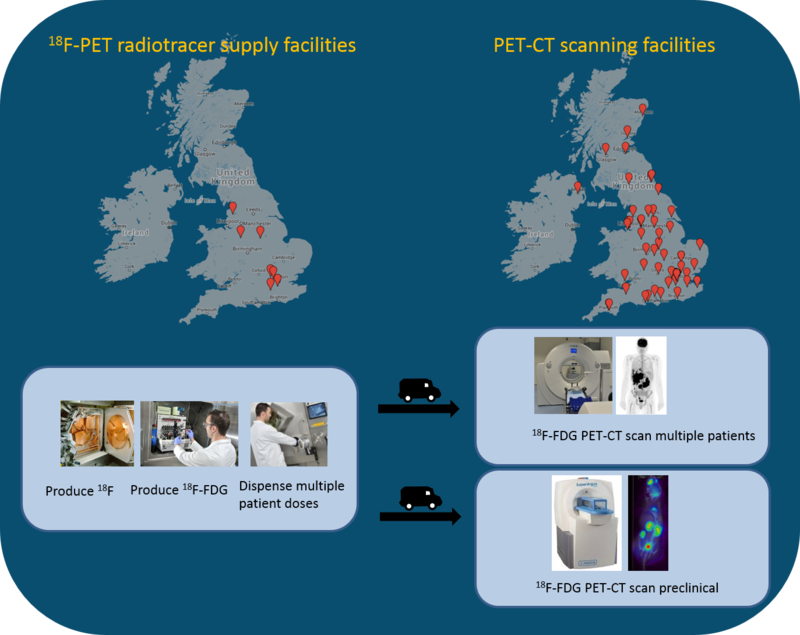 Consequently, PET tracers have been manufactured on a large scale at centralised sites before transport to hospital nuclear medicine departments. 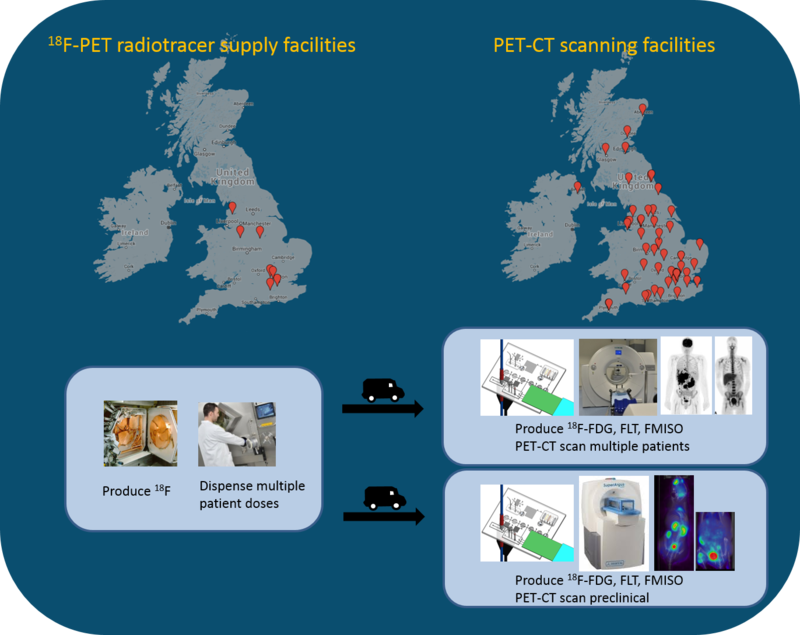 This limits the use of short-lived PET radioisotopes to large centres that contain an on-site cyclotron, and makes the use of non-standard or low-volume PET tracers more expensive. The dose-on-demand model makes use of the next generation of cyclotron technology, whereby lower powered cyclotrons that are more convenient to place on site, manufacture doses for each patient according to demand, which is then incorporated into PET probes via onsite synthesis. 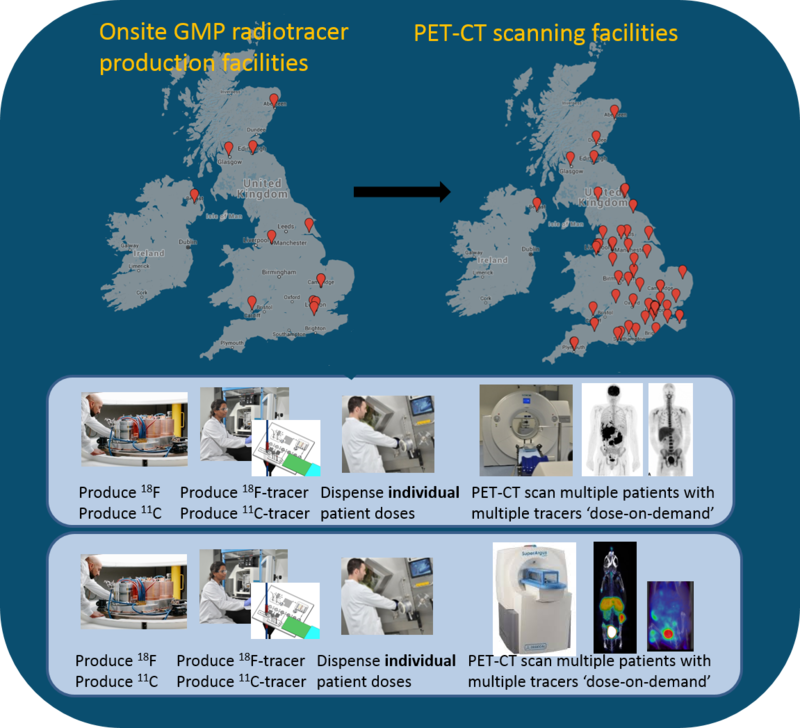 This has the advantage of increased flexibility for tracer production as well as allowing the use of the short-lived 11C isotope in the clinical setting.